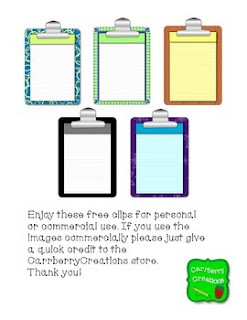 This is a zipped file of 5 clipboard clipart's. Enjoy these free clips for personal or commercial use. If you use the images commercially please just give a quick credit to the CarrberryCreations store.